Even though I'm watching my food intake more carefully nowadays, it still doesn't hurt to give myself a treat or two at times. 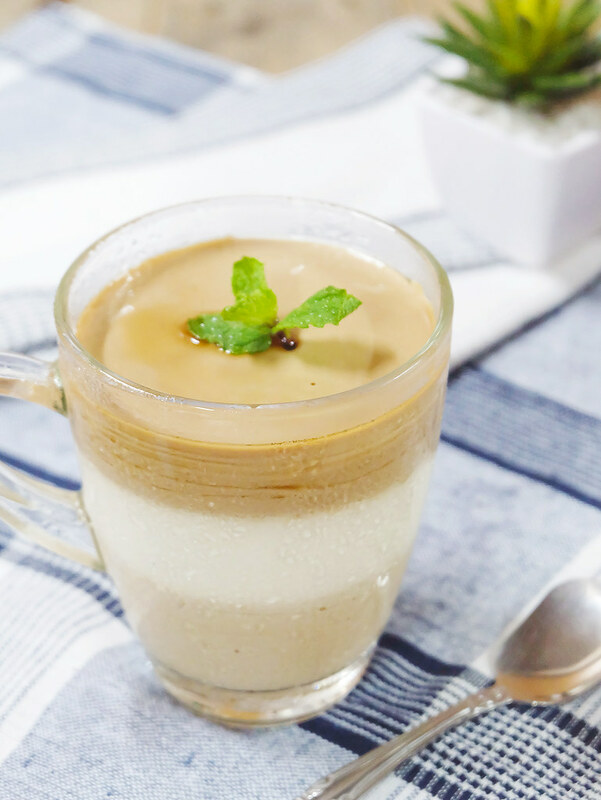 One of which I always make sure to enjoy is panna cotta (Italian for cooked cream) -- a dessert made from sweetened cream thickened with gelatin, and usually flavored with vanilla. This sweet treat is what I'd usually order from Italian restaurants, or practically any joint offering it. But for a while now, I've been making it at home whenever I get the cravings. Don't let its fancy name or usual elegant presentation fool you. It might seem complicated, but it really isn't. It's one of the easiest desserts I enjoy making, and I'm sure you'll love it too! 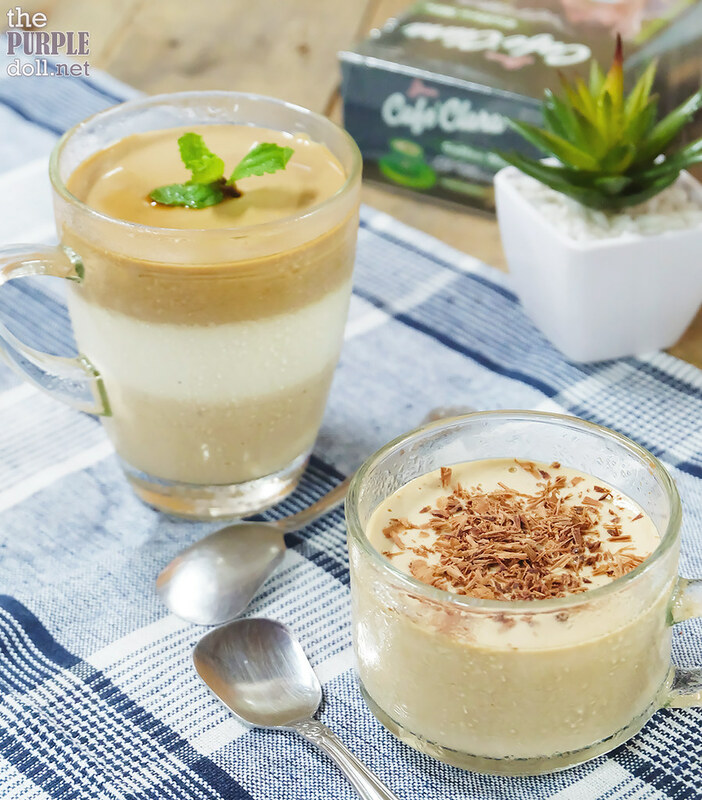 To make things more interesting, the recipe I'll be sharing is panna cotta flavored with Jimm's Cafe Clara. You can use your preferred instant coffee or even whole coffee beans (just make sure to strain it) if you prefer. But I find that Cafe Clara has this berry-ish undertone which works really nice with this dessert, giving it a seductive mystery, if you will. Place water in a small bowl and add in the gelatin powder. Mix and let stand until the gelatin powder dissolves. Meanwhile in a small sauce pan, pour in the milk and add the Cafe Clara coffee powder, cream, salt and sugar. (You can add in the sugar little by little, tasting along the way to get your preferred sweetness level.) Stir the mixture over low heat until the sugar and coffee powder dissolves. Add in the gelatin and stir until it dissolves into the cream mixture. Remove from the heat and let the cream mixture cool slightly. Pour the cream mixture into 2 small glasses or container of your choice. For a smoother consistency, you can strain the cream mixture first. Refrigerate for about an hour or two to let the panna cotta set. When ready to serve, garnish with dark chocolate shavings (use a vegetable peeler) or a sprig of mint. 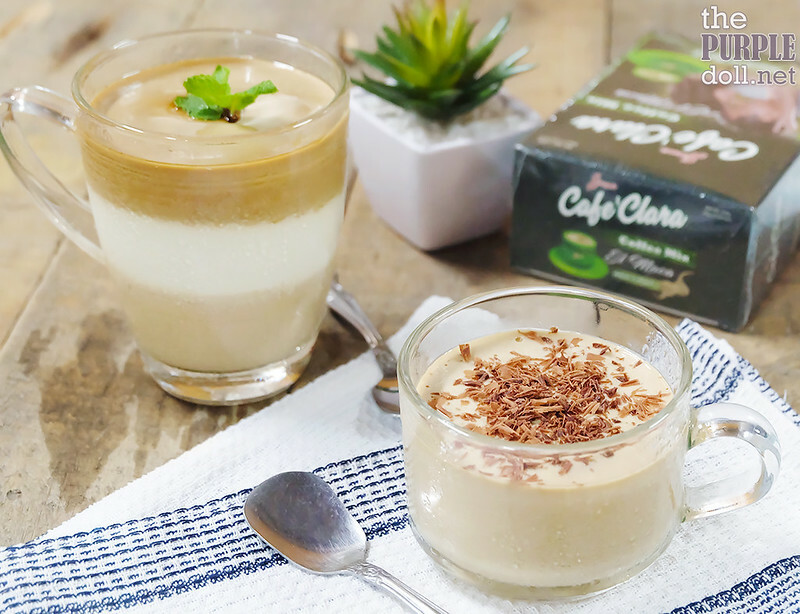 If you're feeling a little more adventurous, you can also do multiple layers of different flavored panna cotta. For the white layer, you can follow the same list of ingredients above but replace the coffee powder with about a teaspoon of vanilla extract or a vanilla bean (just remember to use a strainer). Just add in the vanilla extract little by little and taste as you go, to make sure you're not over-flavoring your cream mixture. For the darker layer, you can double the pack of coffee powder used for a double shot. You can also make it a dark chocolate layer if you prefer. Just replace the coffee powder with cocoa powder. The trick to making multiple layers though is to let the previous layer set first before pouring in the mixture for the next layer. It will be more time-consuming, and you might need to reheat the mixture for the next layer as you wait for the previous layer to set. However, I can say that the pretty visuals of layered panna cotta is worth the extra effort! I like making panna cotta for myself. But for special occasions, I also surprise the boyf with a nicely presented panna cotta as dessert for the usual 3-course meal I cook for him. 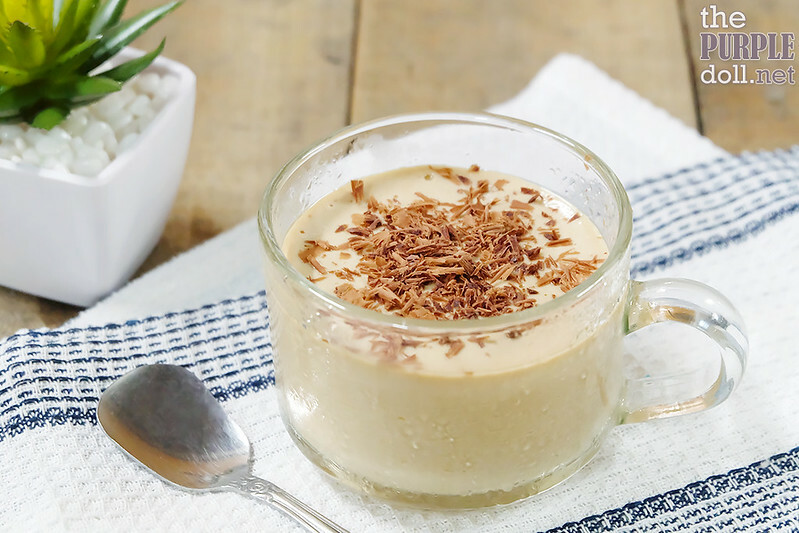 If you want to surprise your special someone, this is a good panna cotta recipe to keep in your arsenal. 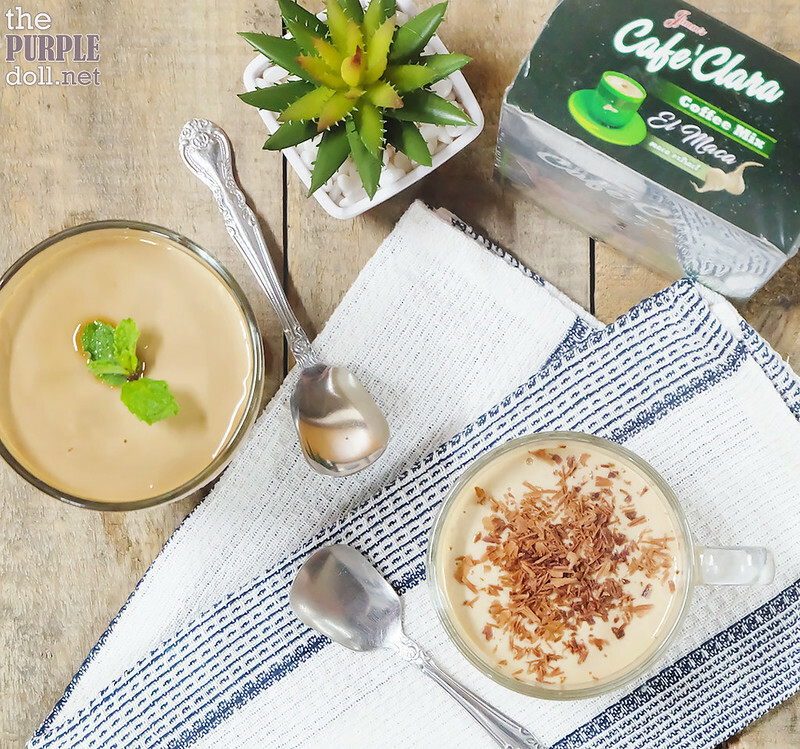 If you and your SO love coffee, using Jimm's Cafe Clara for your panna cotta is perfect as it has Maca Extract which helps drive cellular functions in the body including sexual arousal. Other benefits of Maca Extract include improving energy and athletic performance, memory, and even aids in boosting the immune system.